Turner & George are purveyors of the kind of meat you'd always want at your table. We take great care in sourcing our beasts and birds from suppliers and farms that reflect our own meticulous attitude to rearing and taste. More importantly, all of our meat is free from growth promoters, hormones, antibiotics and cruelty. Whether it's lamb from the Essex Marshes, or beef from the Yorkshire Moors, you can rest assured that under the guidance of James and Richard, the suppliers from which we source our core range ensure the highest welfare standards are met and achieved. Our Black Label Range, for the real meat connoisseurs, features singular rare and native breeds from farms we know share our passion for ethical rearing. After all, it's only meat that has been bred naturally that can truly taste amazing. 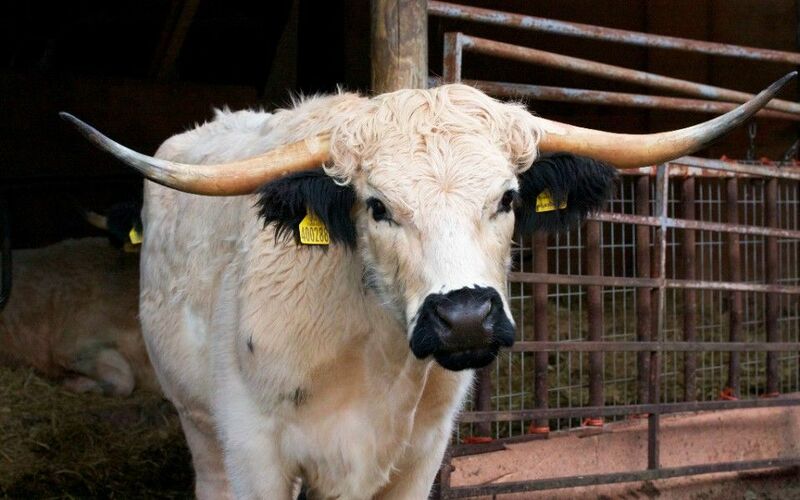 Thanks to an increase in industrial farming and cross-breeding, popular in the late 50s and early 60s, the majority of rare-breeds in Britain saw their numbers in a steep decline. Demand for European and Westernised breeds, which increased yield for the mass market, was bigger than ever, and those animals who didn't show the characteristics associated with quick growth were forgotten. Our Black Label Range is committed to stocking rare and native-breeds only; slow grown animals with fantastic meat qualities, and helping to re-create a demand. Breeds we see coming through our shop include Highland, Belted Galloway, Longhorn (beef), Tamworth and Old Spot (pork) and Blackface and Texel (lamb). 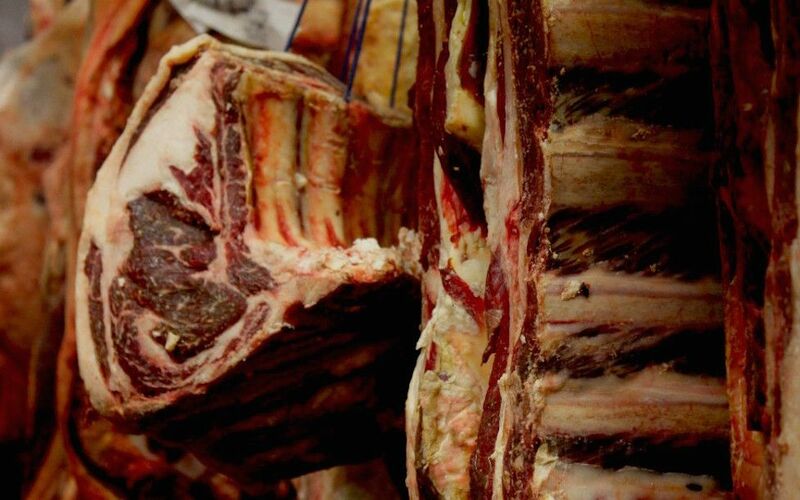 Dry-ageing comes down to two things: taste and tenderness. The process of dry-aging might seem like yet another fussy foodie concept but it really isn’t. The truth is, dry-aging can’t make bad meat good (nothing can) but it can make great meat greater. 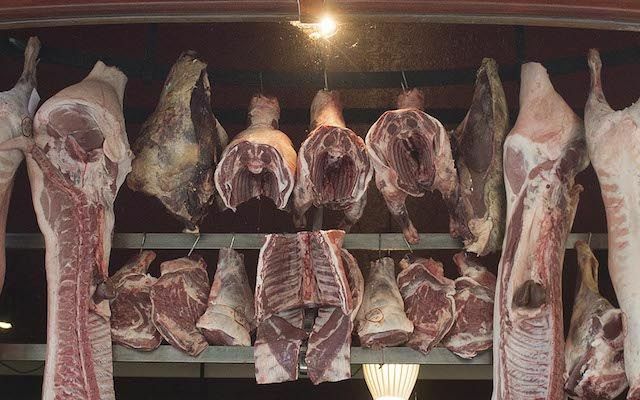 The skill is in knowing how long a piece of meat needs to be hung for to intensify the flavours and break down the connecting tissue in the meat, and a good butcher will be able to tell by looking at, smelling and trimming a piece of meat. The meat needs to be kept in a low humidity environment at between 0 & +4° for (on average) between 10 and 30 days. The meat needs to age and not rot, so moisture is the enemy. Putting it as simply as we can, when meat is dry-aged, it loses 10-15% of it's original water mass as enzymes break down proteins within the muscle fibre itself and water evaporates. As these muscles break down, flavour intensifies. The more water lost, the more flavourful the piece of meat will become. 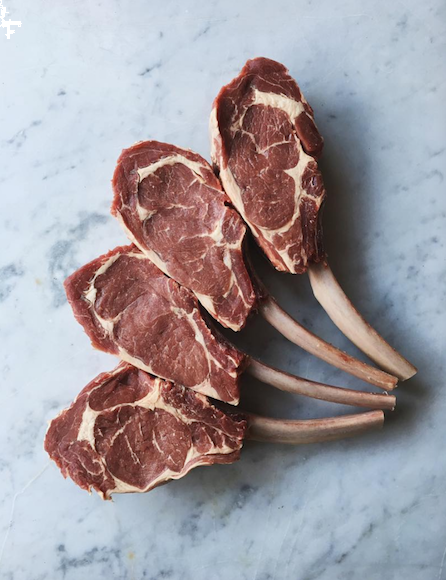 We dry-age all of our beef in-house to a minimum of 28 days, and our pork and lamb to a maximum of 14, always left on the bone to protect the meat itself.